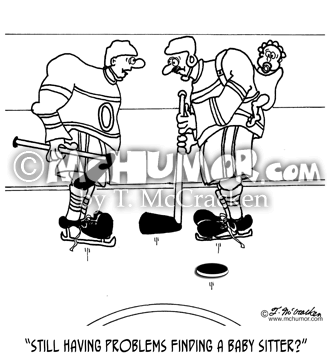 Hockey Cartoon 5041: Hockey player saying to another with a baby strapped on his back, "Still having problems finding a baby sitter?" 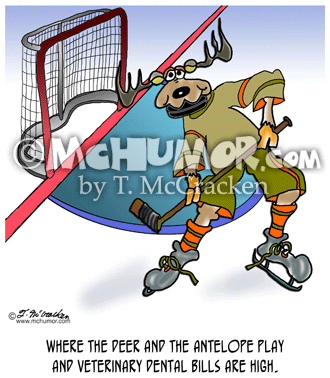 Hockey Cartoon 5044: "Where the Deer and the Antelope Play." 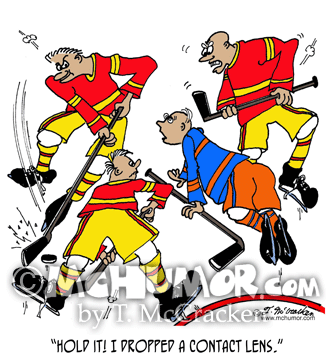 Animals are playing hockey. 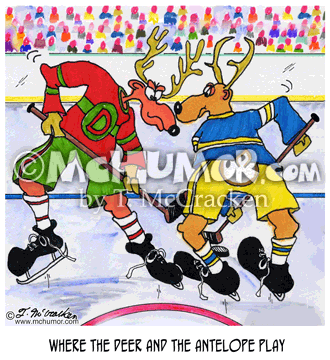 Hockey Cartoon 8318: A deer playing a hockey puck in its mouth. "Where the Deer and the Antelope play and veterinary dental bills are high." 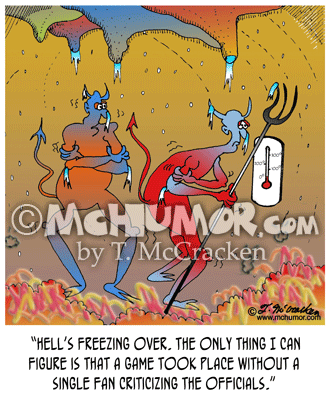 Hockey Cartoon 6665: A referee at a game where the players are thugs shooting at each other saying, "Going into sudden death overtime is serious business with these teams." 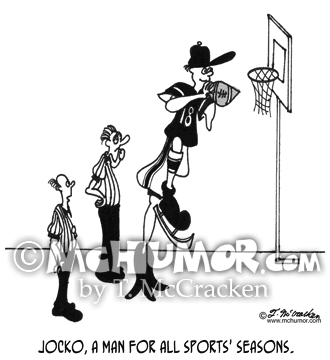 Sports Cartoon 3255: "Jocko, a man for all sports' seasons." 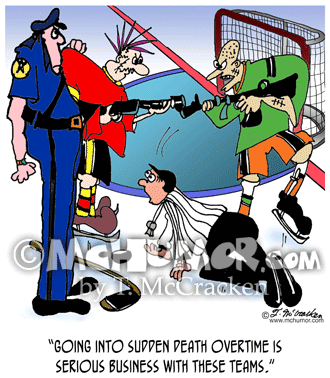 A player wearing ice skates, swim flippers and a baseball cap is about to drop a football into a basketball hoop.